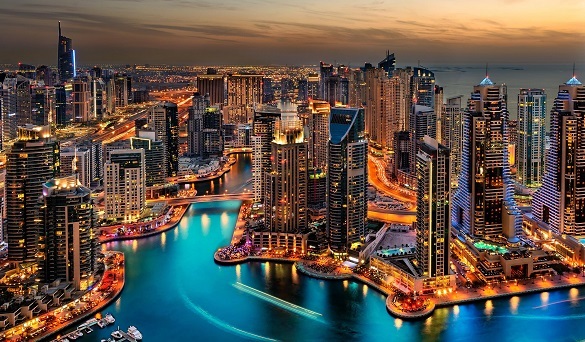 The UAE will find out on Monday when District 2020, a residential and commercial area that will “be home to world-class innovation, educational, cultural and entertainment facilities as well as a conference and exhibition centre” is launched at Cityscape Global. “His Highness Shaikh Mohammad Bin Rashid Al Maktoum, Vice-President and Prime Minister of the UAE and Ruler of Dubai, instructed us to build a site for a permanent legacy and therefore we had to think of ways to capitalise on what was being built for Expo as well as for post-Expo. “It will be a long-term economic contributor for the UAE as a home for innovators, original thinkers and pioneers, creating jobs and attracting investment,” the statement said. The district will include 65,000 square metres of residential space and 135,000 square metres of commercial space, in a location that will be home to world-class innovation, educational, cultural and entertainment facilities as well as a conference and exhibition centre. The Expo 2020 transition to Districy 2020 begins as soon as the expo finishes, with work starting from 11 April, 2021. Design: The district aims to foster a “perfect work-life balance in an integrated and walkable community, connecting entertainment and lifestyle offerings.” The district will utilise the latest strategies, materials and innovations to maximise water efficiency and minimise energy use. All buildings will have at least LEED Gold Certification. Community: District 2020 will be in Dubai South, an emerging master-planned city. The district includes 65,000 square metres of residential space, 10km of cycling track and 45,900 square metres of parkland — equivalent to six football pitches. Technology: District 2020s digital infrastructure will deploy a high speed, resilient network utilising the latest available technologies to provide high performance plus scalability, flexibility and security. It will boast one of the first 5G mobile networks in the world.